Nothing gets attention like a box in the mail. Unlike flat mailings, dimensional mailers with a “rattle factor” are almost guaranteed to be opened. Great promotional items also tend to hang around for a long time, especially if it’s something of use to the recipient. Items that stick on the recipient’s desk shout your brand over and over to the desk owner and whoever visits him or her. Did you know that 88% of recipients of promotional products recall the advertiser and 62% recall the message? 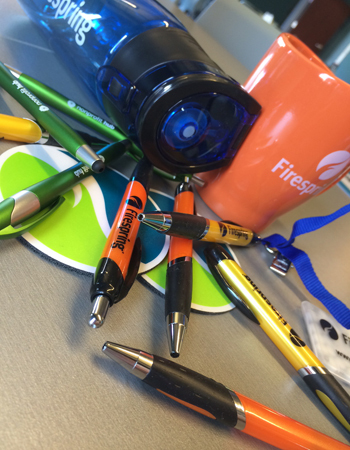 Contact our team of specialists to help you find the right promotional item to make a lasting impression.